194 pages | 1 B/W Illus. Privatisation was introduced into the probation service on the 1st June 2014 whereby work with medium and low risk offenders went to a number of private and voluntary bodies, work with high risk offenders remained with the State. The National Probation Service (NPS) covered State work whilst the 35 existing Probation Trusts were replaced by 21 Community Rehabilitation Companies (CRCs). Staff were allocated to either side of the divide but all remained as probation officers. The effect was that the existing probation service lost control of all but 30,000 of the most high risk cases, with the other 220,000 low to medium risk offenders being farmed out to private firms. Privatisation was justified as the only available way of achieving important policy objectives of extending post release supervision to offenders on short sentences, a group who are the most prolific offenders with high reconviction rates yet who receive no statutory support. 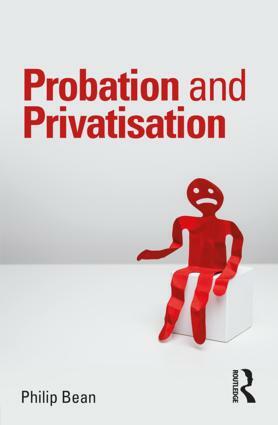 This book describes the process by which the probation service became privatised, assessing its impact on the probation service itself, and on the criminal justice system generally. It considers both the justifications for privatisation, as well as the criticisms of it, and asks to what extent the probation service can survive such changes, and what future it has as a service dedicated to the welfare of offenders. It demonstrates how the privatisation of probation can be seen as a trend away from traditional public service in criminal justice towards an emphasis on efficiency and cost effectiveness. This book is essential reading for criminology students engaged with criminal justice, social policy, probation, punishment and working with offenders. It will also be key reading for practitioners and policy makers in jurisdictions where there is an interest in extending their own privatisation practice. Philip Bean is Emeritus Professor of Criminology and Criminal Justice at the University of Loughborough, UK.